While you are our running errands for the holidays this weekend you might miss out on your favorite games. Well no need to worry. 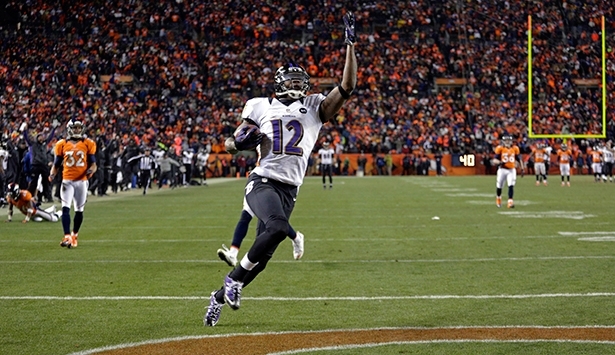 Verizon subscribers can watch NFL and NBA games thanks to go90. 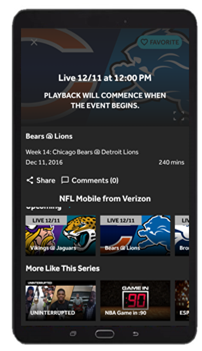 With go90, Verizon subscribers can watch ANY of the best NFL games for free from their smartphones, at any time and from anywhere and without using data. Some of the big games featured on go90 this week include the Raiders at Chiefs, Bears at Lions, Seahawks at Packers, Cowboys at Giants and Ravens at Patriots. NFL on go90 also includes the opportunity to re-watch games including highlights, best and worst plays and additional sports programming. go90 will be streaming all of the post-season, Pro Bowl and Super Bowl LI. The app is available to download for free via the App Store or Google Play and does not require a traditional subscriptions or have hidden fees. Fortunately for NBA fans, go90 is offering one more free preview weekend of NBA LEAGUE PASS. Fans can stream go90 on their smartphone or tablet, to catch any of the games from December 9 -10. Download go90 via the App Store or Google Play, and enjoy this free preview. Remember, fans can also purchase an NBA LEAGUE PASS full season package from go90.com/NBA. Print article This entry was posted by Art Eddy III on December 7, 2016 at 10:31 am, and is filed under Sports. Follow any responses to this post through RSS 2.0. Both comments and pings are currently closed.